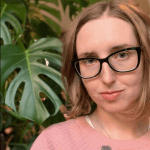 Having learned how to program thanks to Rails Girls, Kasia now supports and helps to build diverse communities of people interested in technology. She’s one of the Webmuses and organised first Rails Girls workshop in Łódź and Clojure Bridge in Poland (in Kraków). She mentored at multiple RG events and has been helping with Rails Girls Summer of Code for a couple of years. She likes sleeping, great food and when people are nice to each other. She reads, does yoga or meditates to relax. Chief Agile Officer and Vice President at Symphony Solutions, founder of educational platform Agile Space. 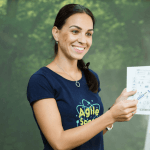 Agile coach, SAFe trainer and driver of processes based on common sense. Graduated in Information Engineering and management at technical University in Karlsruhe Germany.